Deep sea fishing is a challenging form of sport fishing that is becoming increasingly more popular. You can engage in this leisure activity all year round, and you can catch many different species. If you are looking for the really big fish, deep-sea fishing is definitely the way to go. Cod fishing at deep waters are one of many good opportunities. As mentioned you can engage in deep sea fishing all year round, but always be aware of wind and weather conditions. A boat with the opportunity for a little shelter is preferred during autumn and winter, but there is nothing in the way of conducting deep sea fishing from a small, open boat. A powerful engine is then a great advantage. It allows you to quickly get back if it the wind picks up. You can also choose to join an organized deep sea charter. Then you do not have to worry about the boat and how to locate best fishing spots. Also you will be able to pick up tips and advice from other fishermen. 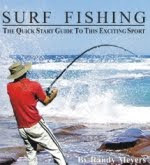 This gives you a great opportunity to gain experience and knowledge of this sport fishing. I would still argue that there is something special about using your own boat. Then you have to make all the decisions, and you must locate the fish yourself. This provides an extra good feeling when the big fish finally strike. Deep sea fishing places relatively large demands on the equipment. First and foremost you need a solid rod. Stiff rods are well suited for jigging while more flexible rods are well suited for bait fishing. If you plan to go deep sea fishing often, you should consider acquiring two rods, but there are a lot of good all-round rods available. You also need a high quality reel and a solid line to help you fight the biggest fishes. The purpose of deep sea fishing is usually not to catch a lot of fish. The goal and dream is to catch the big ones. A cod weighing 20kg or a coalfish weighing 10kg is for many anglers the big dream. Halibut can reach a weight of more than 200kg and this is a dream for many fishermen. Deep sea fishing is usually synonymous with bottom fishing. Bait is thus an important and useful factor, but it is not necessary. Jigging is also an effective method. A combination where you attach bait on your pirk is a popular method that has proven to be successful. Which species you are looking for will determine which method you should choose. Depth, wind, current and water temperature, should also be considered before you choose method, bait, and tackle. Deep sea fishing for coalfish is one of my favorites and this is definitely fascinating, as well as a popular sport fishing. Coalfish, also known as saithe, is a very strong and muscular fish that is often compared to salmon. In most areas it can be caught all year round on depths ranging from 0 -300 meters. Coalfish will usually bite on most of your tackle and this is in other words not the biggest challenge. The challenge is normally to locate big coalfish. Try different fishing spots and always remember to fish at all depths. More on Sport fishing for Coalfish. Many fishermen have experienced that they catch coalfish during cod fishing, and this is quite normal. This species often moves and feed in the same areas, especially at deep waters. Deep sea fishing for cod is off course also a very popular leisure activity and on this blog you will find a lot of articles providing cod fishing tips. Deep sea fishing is an incredibly fascinating leisure activity. There is great variation in conditions, catches and methods. Some equipment and knowledge is necessary, but chartered trips give everyone the opportunity to try this sport fishing.